In The Wedding Complex Elizabeth Freeman explores the significance of the wedding ceremony by asking what the wedding becomes when you separate it from the idea of marriage. Freeman finds that weddings—as performances, fantasies, and rituals of transformation—are sites for imagining and enacting forms of social intimacy other than monogamous heterosexuality. 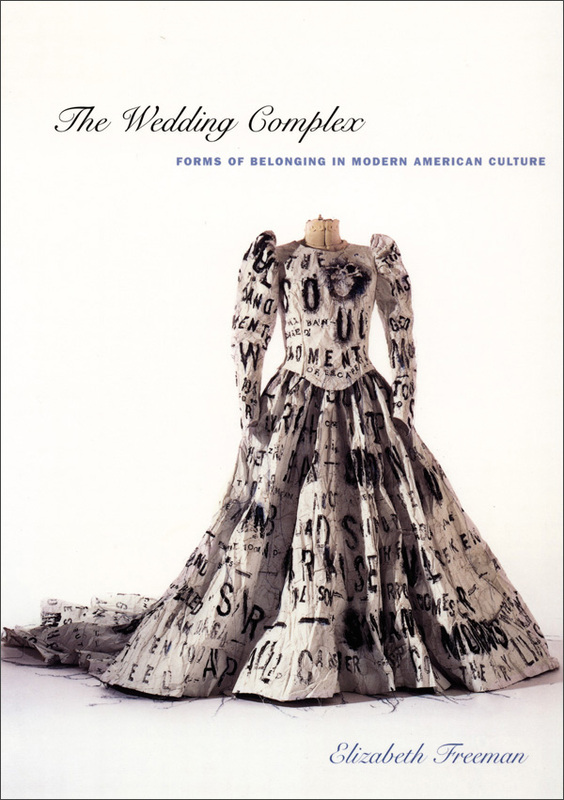 Looking at the history of Anglo-American weddings and their depictions in American literature and popular culture from the antebellum era to the present, she reveals the cluster of queer desires at the heart of the "wedding complex"—longings not for marriage necessarily but for public forms of attachment, ceremony, pageantry, and celebration. Freeman draws on queer theory and social history to focus on a range of texts where weddings do not necessarily lead to legal marriage but instead reflect yearnings for intimate arrangements other than long-term, state-sanctioned, domestic couplehood. Beginning with a look at the debates over gay marriage, she proceeds to consider literary works by Nathaniel Hawthorne, William Faulkner, Carson McCullers, Vladimir Nabokov, and Edgar Allan Poe, along with such Hollywood films as Father of the Bride, The Graduate, and The Godfather. She also discusses less well-known texts such as Su Friedrich’s experimental film First Comes Love and the off-Broadway, interactive dinner play Tony ‘n’ Tina’s Wedding. Offering bold new ways to imagine attachment and belonging, and the public performance and recognition of social intimacy, The Wedding Complex is a major contribution to American studies, queer theory, and cultural studies. Elizabeth Freeman is Assistant Professor of English at the University of California, Davis. 3. “That Troth Which Failed to Plight”: Race, the Wedding, and Kin Aesthetics in Absalom, Absalom!